“It’s Just Sauce” is a sweet, tangy sauce that’s great for chicken, beef, pork and especially ribs. Not over-powerfully spicy, but with enough zip to keep you wanting more and more. Kids of all ages love this sauce and ask for it by name! 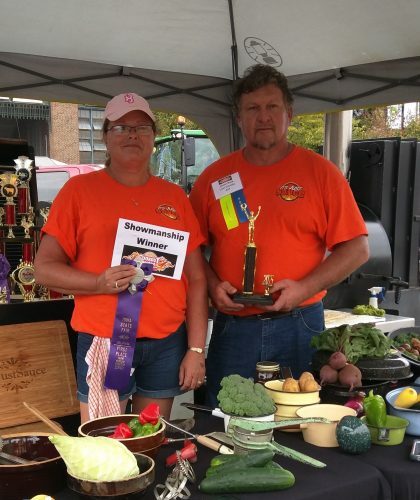 “It’s Just Sauce” Was named by our granddaughter after it won first place in a local competition, bringing home a little trophy with a pig on top. “Grandpa” she said, “It’s Just Sauce!” and it stuck. Grandpa has been winning awards with “It’s Just Sauce” ever since.